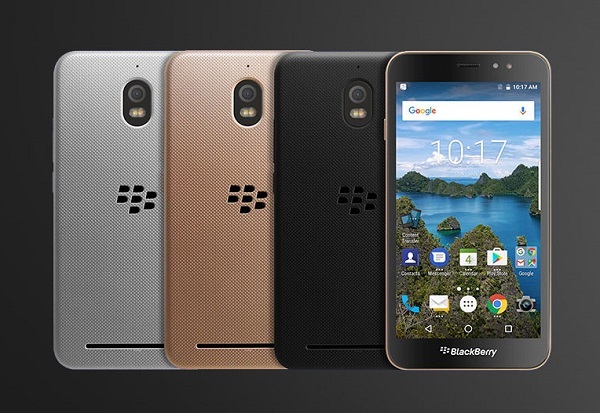 BB Merah Putih launches its first BlackBerry-branded phone in Indonesia, the BlackBerry Aurora. Today, PT BB Merah Putih, one of Indonesia's leading smartphone manufacturers, unveiled a new BlackBerry smartphone in Indonesia - the BlackBerry Aurora. The launch represents the first BlackBerry smartphone released by BB Merah Putih under its new brand licensing agreement signed with BlackBerry Limited in September 2016. Nougat, with a 5.5" inch HD screen and 4GB RAM memory. At the core of this new BlackBerry smartphone is a Qualcomm Snapdragon quad-core 1.4GHz processor with a 3,000 mAh Li-ion battery - allowing the device to receive strong performance and connectivity for 30 hours straight. It will come pre-loaded with BlackBerry Hub, a unified messaging inbox which combines emails, texts and messages from social media accounts including Facebook, Twitter, LinkedIn, BBM, Whatsapp, Instagram and others. The BlackBerry Aurora comes pre-loaded with DTEK by BlackBerry, offering constant security monitoring and protection of your operating system and apps by letting you know when your privacy could be at risk and how you can take action to improve it. BlackBerry Aurora can be purchased at a price of Rp. 3,499,000 through pre-orders in various online e-commerce in Indonesia starting Friday, March 3, 2017 until Sunday, March 12, 2017. Throughout the pre-order period, customers have the chance to receive a special prize as well payment options with a one-year installment. For more information about the BlackBerry Aurora and to register for pre-order updates, visit www.bbmerahputih.co.id.